An explanation of why, in the light of recent research on the nature of human learning, the present Western, essentially Anglo, system of schooling is both upside down in terms of its distribution of resources, and inside out in terms of its excessive dependence on school-as-place; on formal as opposed to informal learning, and on the teacher as instructor rather than as facilitator. Once the entire system is redesigned on the basis of constructivist and enquiry-based practice, then student dependence on teacher and school will begin to decrease with age. 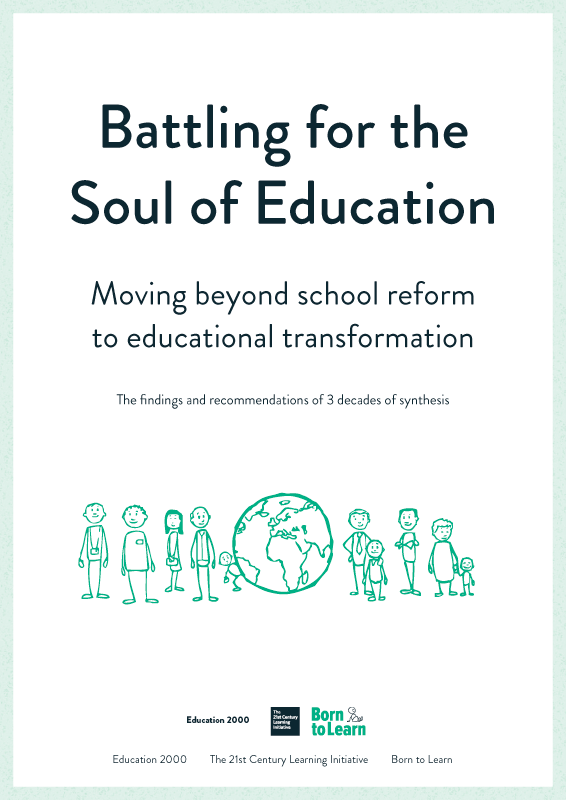 This will allow a growth in student choice and responsibility so escaping from the present dilemma of squeezing out-dated systems to perform in ways which truly release human potential at hitherto unprecedented levels.